This wedding was bursting at the seams with nothing but sentimental memories! Sharon and James are college sweethearts who hosted a ceremony and reception at venue. During their ceremony, the couple practiced traditions from their Korean Culture and afterwards the guests transitioned over to the modern American-style reception we had setup for them. As the night progressed, Sharon and James had one more treat in place for all their guests… it was a flawlessly executed dance!! The dance was Choreographed by Ry Kim, a partner of the Kinjaz Dojo. For those of you who don't know, Kinjaz is an LA based dance crew that was on America's Best Dance Crew (ABDC). Definitely one of the most original couple dances we've seen here! Check out the video of the dance on our Instagram (Venueby3p)! We are so excited to release photos from Erin & David's wedding for you! This couple trusted Three Petals to transform the Venue into an amorously inviting space and they did not disappoint. I mean, have you ever seen a more beautiful floral skirt? Look closely at the sweetheart table… Oh, and did we mention that all the flowers are real! The 3P team really outdid themselves this time. Not to mention the handmade from scratch cherry blossom trees on the sides of the stage. Their unique layout really contributed to ambiance of the space, the King's table added with our round tables and infinity chairs provided the guests with a family friendly atmosphere. 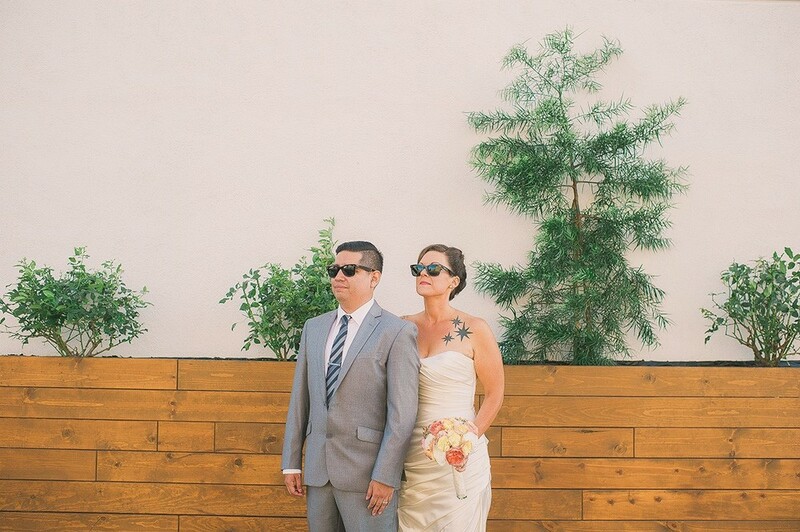 We invite you to check out and enjoy the photos of this "unplugged" wedding below!